North American Shoveler Duck Pair Duck Pairs are shipped as young adults and flight ready (unless you choose to have them pinioned). You will receive one male and one female adult North American Shoveler Duck. Ordering a quantity of "1" will add one male and one female to your order. The North American Shoveler Duck has a unique and large bill with light blue colored feathers under flight wings. 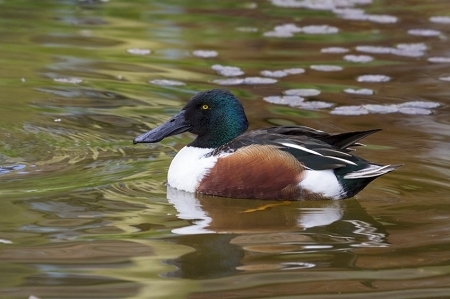 The North American Shoveler Duck Pair is found throughout North American and Europe, accommodating to a wide variety of climates, but preferential to wetlands. The North American Shoveler Duck Pair will make an excellent addition to your backyard flock, fairing well with other duck breeds.